This groundbreaking volume is highly likely to become a point of departure for all future engagements with biotechnologies in the Middle East. The collection expertly reveals in vivid detail the local moral worlds of biotechnologies of life within the Islamic landscape. 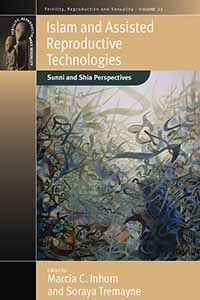 Unprecedented and unique, this book challenges both popular misconceptions and academic gaps in knowledge vis-Ã -vis new developments in bioscience and technology from theocratic Iran to secular Turkey. Marcia C. Inhorn is the William K. Lanman, Jr. Professor of Anthropology and International Affairs in the Department of Anthropology and The Whitney and Betty MacMillan Center for International and Area Studies at Yale University. She is the author of The New Arab Man: Emergent Masculinities, Technologies, and Islam in the Middle East (2012), Local Babies, Global Science: Gender, Religion, and In Vitro Fertilization in Egypt (2003), Infertility and Patriarchy: The Cultural Politics of Gender and Family Life in Egypt (1996), and Quest for Conception: Gender, Infertility, and Egyptian Medical Traditions (1994). Soraya Tremayne is the Founding Director of The Fertility and Reproduction Studies Group and a Research Associate at the Institute of Social and Cultural Anthropology, University of Oxford. Her publications include Managing Reproductive Life: Cross-Cultural Themes in Fertility and Sexuality (ed., 2001); Women As Sacred Custodians of the Earth? Women, Spirituality and the Environment (co-ed. with A. Low, 2001); Fertility and Reproduction, special issue of Journal of the Anthropological Society of Oxford (guest ed., 2000); Fatness and the Maternal Body: Women’s Experiences of Corporeality and the Shaping of Social Policy (co-ed. with Unnithan-Kumar, 2011).